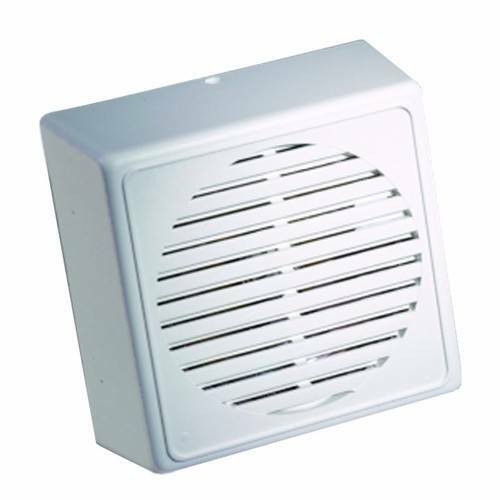 The I20 Grade III Intruder Alarm Internal or Extension Sounder from Knight Fire & Security is ideal for placement in alarm systems with mounted door contacts, enabling a high volume 92Db alarm tone to play when the operating range of the relevant contact has been breached. What is meant by the term Grade 3? Grade 3 refers to the grade of intruder alarm system you have on the premises, especially if you are depending on the alarm system for insurance cover in your home or business. A Grade 3 Alarm basically means Medium to High Risk, Intruders are expected to be conversant with the alarm system and havce a comprehensive range of tools and portable electronic equipment. Made from high quality plastics and fitting a high-power 16Ohm speaker in a low profile 120x120x50mm casing, the I20 is a true top quality sounder that is sure to give you the edge against thieves or vandals on your premises.